The Missouri Fox Trotting Horse Breed Association (MFTHBA) invites you to become a permanent part of the new LEGACY PLAZA project by purchasing a commemorative legacy brick. The LEGACY PLAZA will be installed adjacent to the Roy Williams Pavilion at the MFTHBA World Headquarters. The project is projected to be installed in two phases. Purchasing a LEGACY BRICK is an easy way to leave a lasting family legacy, honor a beloved horse or recognize a family member or mentor. LEGACY BRICKS are available in two sizes, and we will try to accommodate your engraving wishes as long as they fit into the boundaries of 21 characters per line. Those purchasing a brick may also submit a story regarding their brick. 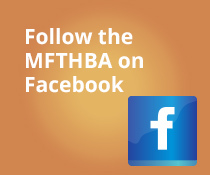 Stories will be archived at MFTHBA.com to further preserve the history and legacy behind each brick. Stories should be 500 words or less and may include one picture. Once you have purchased your brick, upload your story by clicking HERE. Please use the MFTHBA LEGACY BRICK form to order your brick(s). The deadline for ordering to be included in Phase 1 has been EXTENDED. Order TODAY! Phase 2 bricks will be sold through the end of 2017. — Katherine Kirkpatrick Stone, Katherine and her husband, James, have been raising Fox Trotters in Texas since 2007. Thank you to the following people for purchasing bricks in support of Legacy Plaza.